Cross and Cutlass: Happy Yom Teruah or Rosh Hashana! Happy Yom Teruah or Rosh Hashana! Some of you may be wondering if I've converted to Judaism. Nope, but I have been grafted onto the Jewish vine! And so have you if you're a believer in Jesus. Feasts: In Hebrew the word is pronounced “moedim.” It is Strong’s Dictionary #4150 and it means: an appointment (a fixed time or season), an appointed time, an assembly (of a congregation), a place of meeting, a signal (as appointed beforehand). Convocations: In Hebrew the word is pronounced “mikra.” It is Strong’s Dictionary #4744 and it means something called out, i.e. a public meeting (the act, the persons or the place); also a rehearsal - an assembly, calling, convocation, reading. God is describing specific times of the year when His people are to meet with Him to memorialize and rehearse special events. These “appointed times and seasons” have become better known to people today as the Jewish holidays. What many don't understand is that the spring and fall feasts were dress rehearsals for the first and second coming of Yeshua (Jesus) of Nazareth. That's why God considered them of upmost importance! There are 4 Spring Holy Days and 3 Fall Holy Days. The Spring Feasts are Passover, Feast of Unleavened Bread, First Fruits, and Pentecost. These were PRECISELY fulfilled by Jesus on their exact day. Briefly, Jesus died on the cross precisely at 3:00 pm, which is the exact time the sacrificial Passover lamb was slaughtered in the temple. The subsequent Feast of Unleavened bread represents his sinless body sacrificed for us. First Fruits is the day Jesus was resurrected and was celebrated by the Jews as the first of the Barley Harvest (Throughout the Bible, God uses harvests to represent resurrection) and Pentecost was the day the Jews celebrated the giving of the Torah. Also called the Feast of Weeks, it is also a time when the Jews celebrated the first of the wheat harvest. (Jesus often refers to His followers as Wheat!) Of course it was on this day that the Holy Spirit fell on the disciples and the church began. If you read through that list and your mind started spinning with the thought that those descriptions sound a lot like the rapture, you'd be right! The 100th blast is set apart and is the blast that is known as the Last Trump. A day all inhabitants of the world pass before G‑d like a flock of sheep,” and it is decreed in the heavenly court “who shall live, and who shall die ... who shall be impoverished and who shall be enriched; who shall fall and who shall rise. 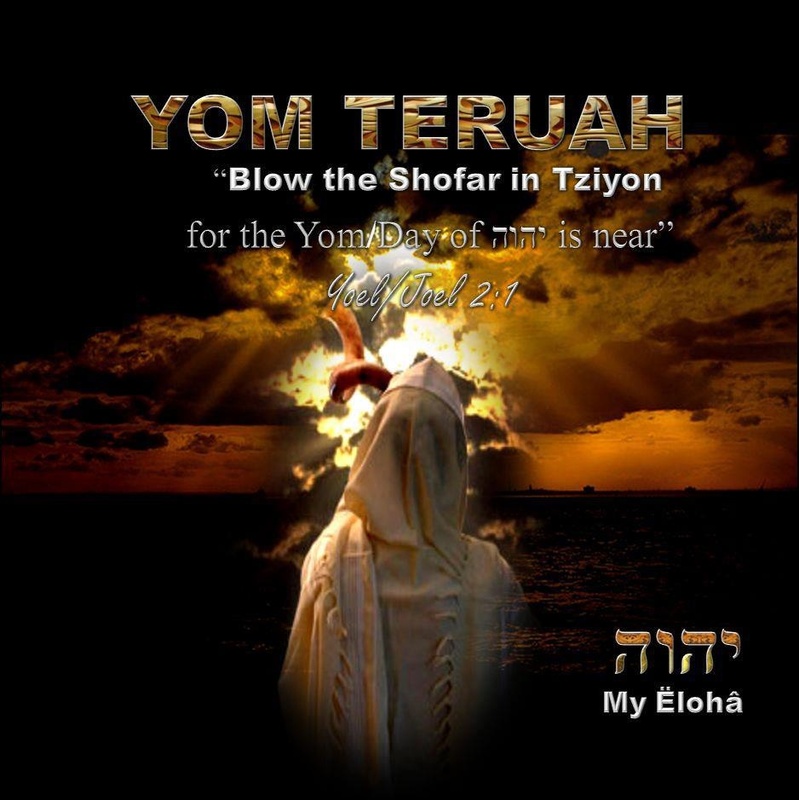 Another important aspect of Yom Teruah is that it marks the first day of 10 days called "The High Holy Days" or "Days of Awe" During this time Jews are supposed to repent of all sins and ask forgiveness of anyone they've offended. This time is also referred to as "Days of Returning, Days of Admitting, Days of Repentence". At the conclusion of the 10 days, they celebrate Yom Kippur, or the Day of Atonement. (More on that next week) Then the Feast of Tabernacles is celebrated which is a Jewish holiday marking the end of harvest season and also celebrates God living with man. It is believed by many Christian scholars that Jesus will return and judge the world on the Day of Atonement and then set up His Kingdom from Jerusalem where He will rule the world and dwell with mankind for 1000 years. How is Rosh Hashana celebrated? Since Jesus fulfilled the first 4 Jewish Feast days exactly on their day, it is reasonable to assume He will fulfill the final 3 on their day. Many Christian Scholars believe the rapture will on occur on Rosh Hashana, and from the above description, you can see why! Then in heaven, we celebrate the wedding of the lamb to His bride and the feast and wait out the 7 years of tribulation occurring down on earth (perhaps represented by the "Days of Awe" mentioned above). Then Jesus returns the 2nd time on the Day of Atonement, judges the world, and sets up His Kingdom on the Feast of Tabernacles. If this is true, then we should be very excited and should be looking for Jesus today and tomorrow! Do I believe Jesus will fulfill these final 3 feasts on their exact day? Without a doubt! However I'm not 100% sure the rapture will occur on Rosh Hashana. At least not the rapture of the church. 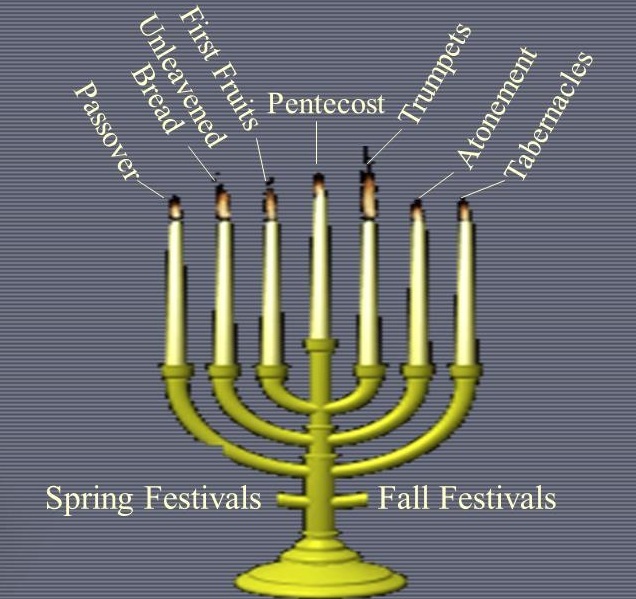 My reasoning is this: The first 4 feasts were all related to the Jewish people. I think sometimes we gentiles get full of ourselves and put ourselves above the Jews, just because most of them are still not believers in Jesus. But the truth is, we are just lucky to have been grafted onto the Jewish vine. They are still the apple of God's eyes. So, I tend to believe these last 3 feasts are going to be God dealing with the Jews, not us. I believe, just like the Spring feasts that these feasts will happen one right after the other in the same time period. But I could be wrong! The rapture could very well occur on Rosh Hashana one year and then 7 years later, another rapture could occur on that feast day to gather those who believed in Jesus after the first one. I've rambled on enough! There's so much info here to digest. I encourage you to do your own homework. For way too many years, the church has ignored these Jewish appointment days and their meanings, much to our own disgrace. They are extremely important to God and should be to us as well... and they are all rehearsals of important events.... the final Fall ones of major events yet to occur! And I personally believe yet to occur VERY SOON. Perhaps today or tomorrow even. And since some believe that the Jewish calender is off a month, perhaps in October. So we wait, we watch, we pray, and we spread the Love of Jesus wherever we can! MaryLu, You are so informed about these things and I have been moved to seek a bible study group or some such. Could you recommend one, one that is true to the word of God. It would be much appreciated. 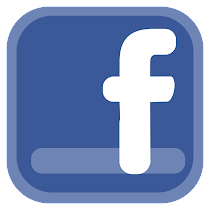 If you do not want to answer here, you can email me privately at ksmith1511@outlook.com Thank you again. Have a wonderful week! Let me think on it, Kathleen. 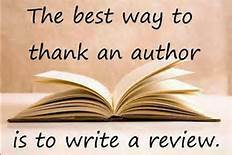 There are some great books out there you can purchase and some great teachers on You Tube. Most churches won't teach any of this stuff, which is very sad. I'll get back to you soon. Please don't be discouraged. I truly believe He's coming soon.. as in months, not years! As in before the end of this year. I know the wait is hard. Last year after the sign of Sept 23rd, and I found myself still in this evil world, I went into a slight depression. But like you said, there are people who still need to receive Jesus. I shouldn't be so selfish. What's one more day or month when we'll have eternity in the presence of our King? Hang in there!!! We're almost home. Good on you, Marylu! My family is not Jewish, but I have spent my life celebrating these feasts in place of pagan holidays. You wouldn't believe the opposition to truth that I've encountered! We are indeed grafted into the vine of the Jews - Jesus celebrated these feasts when he was alive on the earth, and we are called to be like him, so my logic assumes we celebrate just like he did at the very least (it's a lot more complex than that for the church, once you dive into why we celebrate them!). I'm so happy and thankful you have the talent, courage, and platform to posts information like this to the world, and that they hear you openly. These are certainly topics that the church should be informed on. Please don't ever change! Until next time! Keep your eye on the horizon, sister of Christ. He may well be coming soon today! Yes, Miriam, I would believe the opposition you've encountered regarding celebrating the feasts. I definitely receive strange looks when I even bring up the feasts, and ofttimes angry opposition when I bring up the rapture. The church here in America for the most part is lukewarm. The enemy has infiltrated and he gets mad when someone comes along speaking truth. I'm so thrilled for you! I wish I'd grown up celebrating these feast days! Every believer should do the same. Once I found out how the enemy infiltrated the church and created Christmas and Easter etc... involving pagan rituals, I was sick to my stomach. Yet even when I tell others about it, they still continue with their pagan traditions and even laugh at me. Anyway, May the Lord richly bless you! See you in the clouds!